Yearly Meeting is upon us. 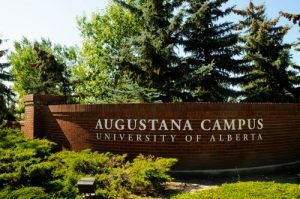 Friends, we will gather in Camrose at the Augustana Campus of the University of Alberta, starting this Friday, Aug 4, with a Pre-YM Retreat led by Beverly Shepard. Yearly Meeting session will follow with a community celebration on Saturday; the Sunderland P. Gardner Lecture given by Maggie Knight on Sunday evening and a week filled with activity, sharing, time for quiet reflection and spiritual growth and learning. Every year we come together as a family, it’s an event that nourishes body and soul. Should you need to reach anyone during this time – you can either call the YM office (888-296-3222) and leave a voicemail – messages will be retrieved daily; or you can call the CYM on-site contact number 780-781-0507 . Visit www.quaker.ca/business/cym2016 to download reports and information from our Session. If you are not able to be among us in person, we ask you to hold our Session in the Light. Is your Committee scheduled to report at YM this year? Click here to see if your Committee is scheduled to report this year at Yearly Meeting session in August. Every year, we devote some time at CYM to look more closely at the work of a few committees or representatives. Our rota ensures that each CYM Standing Committee or representative has a Reporting and Clearness session every five years. Opportunities for Reporting and Clearness are particularly important! What have been your key achievements since your last reporting and clearness? What are your challenges? What is your committee vision for the next five years? This is your opportunity to reflect on how your work fits into the CYM picture, to answer questions and to hear from Friends about your work. Please provide two or three questions for Friends to help us to prepare for and season this work. After a brief précis on the floor, time will be provided for discernment, allowing Friends to respond and to reflect on our collaborative vision of this work over the next five years. Canadian Yearly Meeting (CYM) seeks a contractor to edit The Canadian Friend and to upload materials to our website, quaker.ca. CYM is a religious organization of Quakers (Religious Society of Friends) in Canada. Material from The Canadian Friend will also be used as content on quaker.ca, our website. The editor will also use our FaceBook presence to post information about material in The Canadian Friend, upcoming deadines, and quaker.ca posts. Quaker.ca is a WordPress multisite webpage, with public-facing and private sections. Maintenance of the public site will include posting materials, updating contact information, and other updates as requested. The private sections of quaker.ca consist of internal documents and committee webpages. The contractor may be asked to post materials, or to provide technical support to committees posting their own materials. The contractor is responsible for providing space, software and hardware required for the work, including InDesign, image processing abilities (such as resizing and cropping photos for web use and print), and internet access. 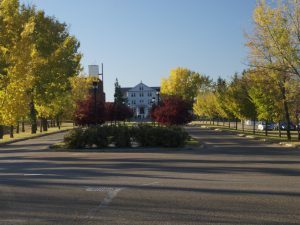 The contractor is encouraged to attend the 2016 Canadian Yearly Meeting gathering (August 5-13) in Camrose, AB, with paid travel, housing and food. The contractor should have demonstrable experience with InDesign, WordPress and the production of print and/or on-line magazines. Experience with unprogrammed Quaker meetings, particularly within CYM, is desirable. Previous experience or training in journalism, editing and social media is an advantage. regular posting of materials for quaker.ca, to be posted twice weekly on a schedule mutually agreed upon by the editor and Publications and Communications committee. Production of The Canadian Friend will be paid for up to 100 h per issue. Web editor work is expected to be 10 h / month. This is a one-year contract, to be renewed on mutual agreement for an additional two years, with the possibility of further extension. Work is to be invoiced monthly, and will be paid at a rate of $35/h by the CYM bookkeeper following approval by the Clerk of Publications and Communications committee. Applications should be received by July 10, 2016. CYM 2016: Registration Form and Registration Material Available! Registration Form (PDF version to print and mail) or the on-line form (Excel file to fill in, save and email to the office). Please note that the Excel form is designed for one registrant per Excel Worksheet. If there is more than one person in your household registering, please fill out the Person 2 Worksheet, Person 3 Worksheet, etc. by clicking along the bottom tabs. Questions? Email cym-office@quaker.ca. The Registration Material (all the YM details!). For more information, please visit the CYM 2016 Gathering page. Deborah Fisch has been a regular and beloved visitor to CYM at our annual gathering for many years now. This year she was our Quaker Study leader, giving a series of 5 daily talks titled The Joy of Meeting for Worship with Attention to Business. She travelled to Prince Edward Island from her home in Iowa, US, and ministered from a place of great love in spite of failing health; and she received much love from us. She shared many stories and insights from her many years of clerking for her Monthly Meeting and Yearly Meeting. Canadian Yearly Meeting was blessed to be able to receive Deborah‘s ministry this summer.